Brake pads, filters, aesthetic add-ons, whatever you need to update your vehicle, our Williamsville INFINITI parts store can offer. If we don’t have what you want in stock, then we will make sure that we make it available to you. Talk to our staff to make them understand what exactly your needs are and they will make sure you get the best of everything. When you shop for INFINITI parts at our Williamsville outlet, you can rest assured that you will be buying genuine and top-quality products. It is important that you install only the right products so that the quality of your drive is not compromised. 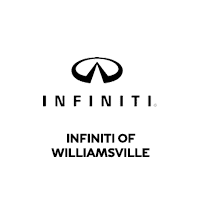 Come to INFINITI of Williamsville’s parts department to buy authentic products.